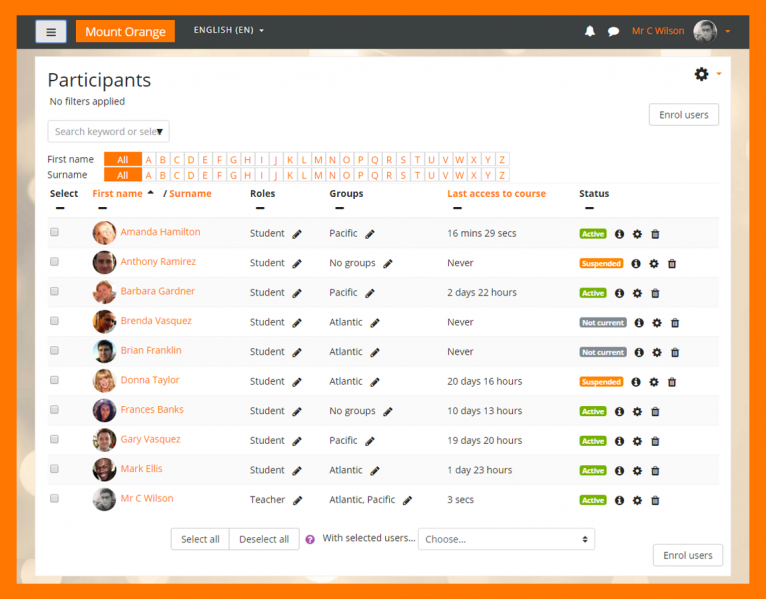 Moodle now supports a Course Summary image that displays in the Course Overview block on the Dashboard. Upload a file in the course settings. For best layout results, upload a wide image with your important visuals in the center. To support Boost, new Course sites will no longer include default blocks. Though blocks are being de-emphasized in Moodle, instructors are welcome to add blocks of their choosing to the right column. 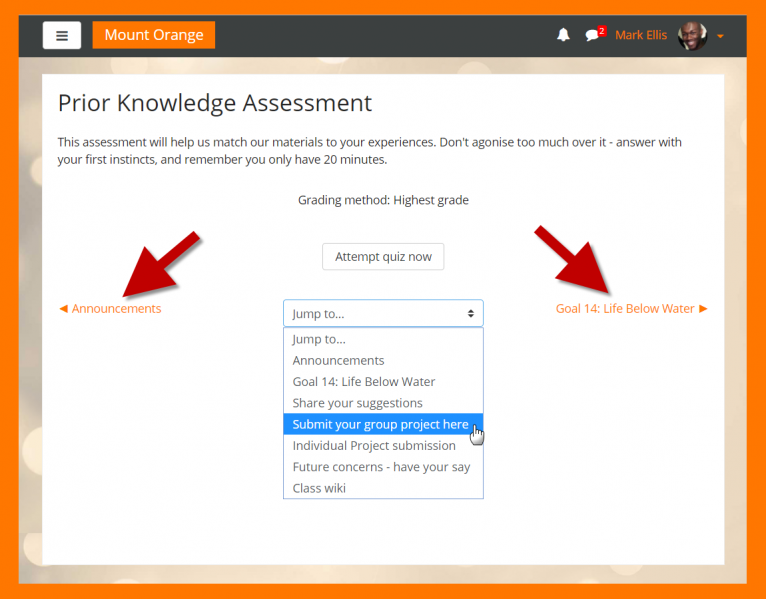 Users can navigate directly from one resource/activity to another without returning to the main Moodle course page (fewer clicks). Teachers can now view Enrolled Users through the Participants link where they can enroll, filter, and unenroll students (fewer clicks again!). The Main Menu including the Course Request link has been added to the Dashboard page for your convenience. This page is: General type: incourse. Context Forum: Site news (context id 6282). Page type mod-forum-discuss.